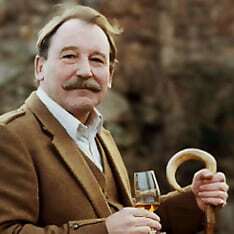 For whisky lovers, Charles MacLean needs little introduction, but his achievements are hugely impressive. He’s spent the past 30 years researching, writing and lecturing about Scotch whisky, and has created many authoritative reference books on the subject. 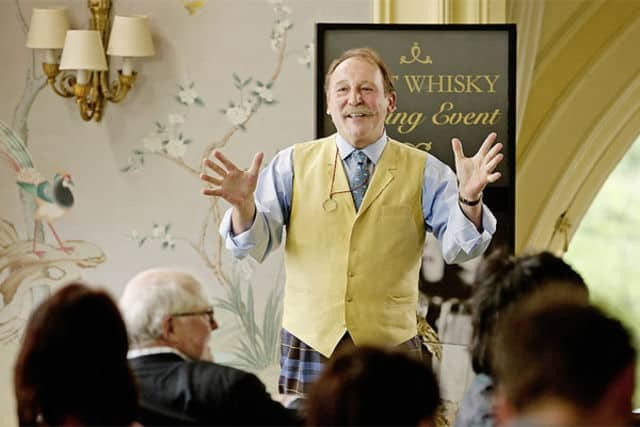 He is a consultant to the whisky industry and to Bonhams International Auctioneers, sits on the judging panel of the International Wine & Spirits Awards, and in 2009 he received the honour of being elected Master of the Quaich – the industry’s highest accolade. He also appeared in the hit Ken Loach film, ‘The Angels’ Share’. You might say that Charles MacLean knows a thing or two about whisky. I read a couple of facts about him that piqued my curiosity. 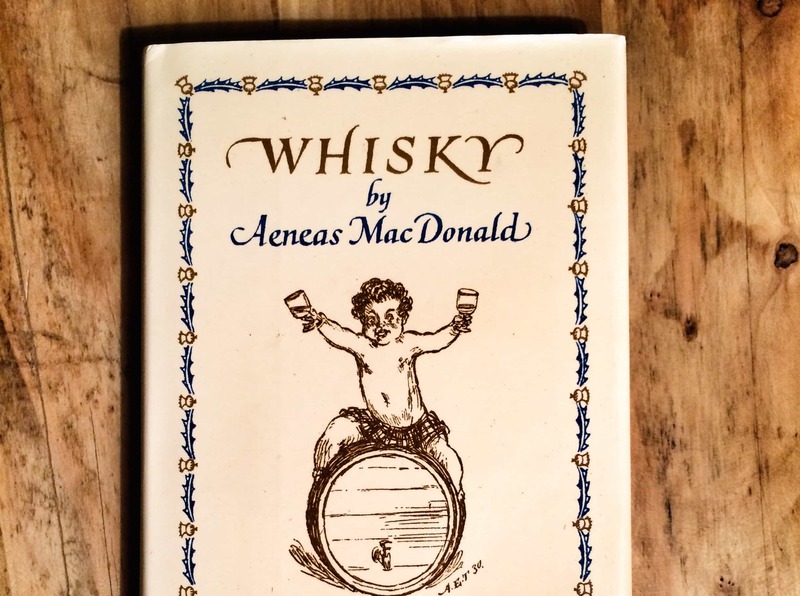 The first was that he was writing a book on the Famous Grouse; the second was that he considered the subject of single malt whisky to be his work, and blended Scotch to be the drink of choice when unwinding of an evening. Malt: You’ve commented quite widely that single malts are work, and that you tend to relax with blends. Other than not having to analyse them in that capacity, what is it about blends that appeals? Charles: From my point of view, malt whisky is much more complex. The idea of blending is to merge the various characteristics of the individual malts, on a base of grain whisky, in a way which creates what is known in blending terms as the integrated flavour complex. Now within that integrated flavour complex you cannot really identify much more than simply whisky. You can identify texture and taste, but on the nose by and large it takes a huge amount of effort to identify individual aromas. Blenders can allow various characteristics, to predominate. Almost all the Johnnie Walker expressions allow a little bit of smoke to be apparent, for example. But the flavour characteristics are subsumed into this integrated flavour complex. Now, if I’m drinking malt whisky, which has much more discernible characteristics then I slip in to work mode – nose and taste, nose and taste, and so on. And at this time of night, I just want to drink for enjoyment rather than drink for analysis. Being a little bit cheeky – now everybody talks about malt whisky, but people tend to forget the backbone of the industry is blended Scotch. 90% approximately of malt whisky made goes into blends. Never forget that blended Scotch is a magnificent product. I read that some of your earlier exposure to whisky was on the Isle of Arran. The tradition was to drink a couple of beers and then the whisky. It sounds a lot like you were living in the novel Whisky Galore. I assume it was blends you drank back then. Can you remember some of those early brands and what was the quality of the blended whisky like back then? I couldn’t evaluate the quality back then! But Long John was popular as was Dewar’s. 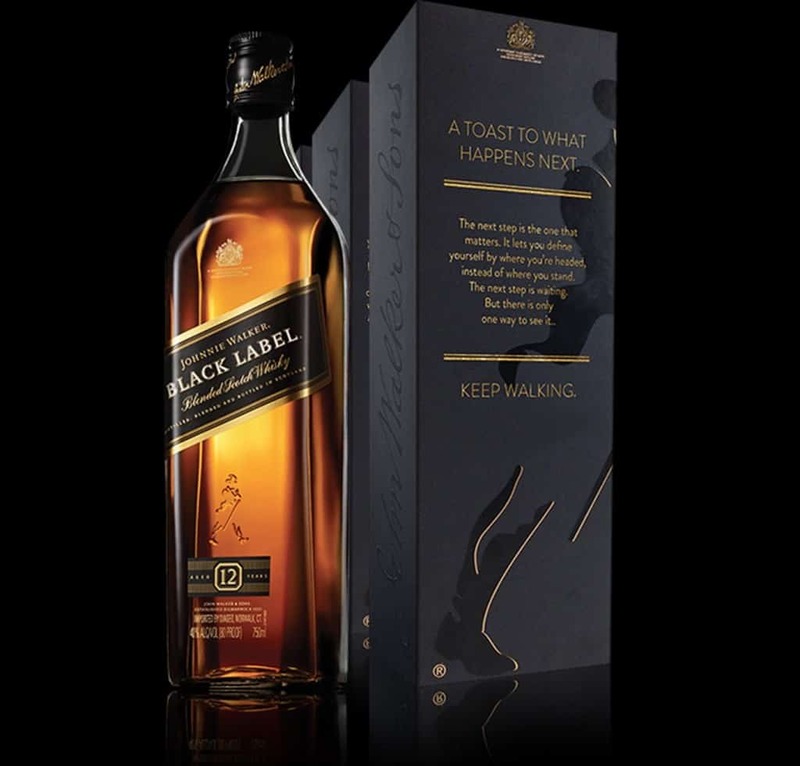 I remember these on the optics… White & Mackay was always popular, but Johnnie Walker was unheard of. It’s very interesting to compare whiskies made in the 1960s or before – both malt and blend – with their contemporary equivalents. They tend to be richer and more full-bodied. Quite frankly – as a young lad in the bar, with the hefty farmers and fishermen and so on, one would start drinking beer, then nips of whisky. There was no choice. You went from beer and whisky, to whisky, whether you liked it or not. To be a man you had to drink your dram! What are some of your favourite blends today? Well I am on record as saying Johnnie Walker Black Label. If I had to have a desert island dram, it’d probably be Johnnie Walker Black Label. 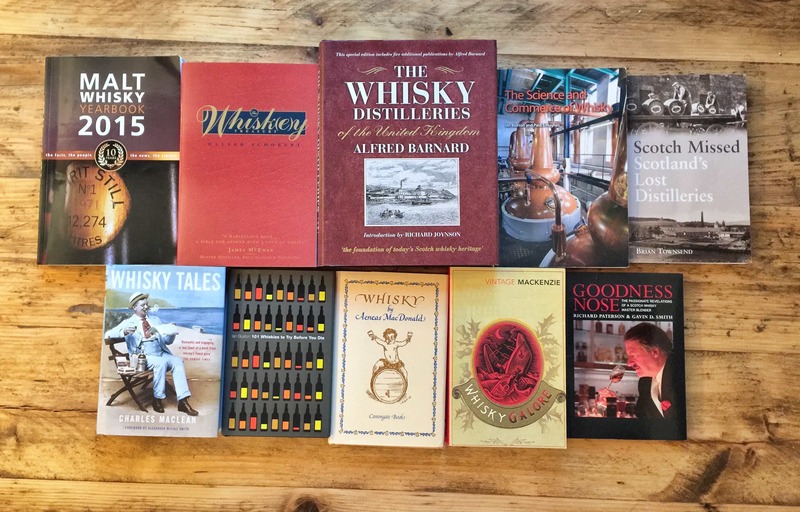 The interesting thing about that is when I was editor of Whisky Magazine I had to interview a number of people in the trade, and my last question was always: apart from the whisky that you make or sell, what do you have the highest regard for. I swear 80% would say Johnnie Walker Black Label. It is probably still the most universally highly regarded blended Scotch – even more so than Blue Label, King George V and the John Walker, some of which are really excellent. What I usually say is “Johnnie Walker Black Label if somebody else is buying”! I don’t go to the supermarket to buy Black Label because it’s slightly more expensive. I was involved in putting together a blend for an independent bottler called Adelphi which is called Directors Choice, and I get a staff price on that – so that’s what I drink as my general tipple. Otherwise Macleod’s Isle of Skye is a very nice drink. I like a traditional style of blended Scotch which is slightly heavier. The current Bell’s is very good. There’s a whisky called Bailie Nicol Jarvie, which is made by Glenmorangie – it’s not my style, because it’s much lighter, but that’s a pleasant dram. But frankly Johnnie Walker is my preferred choice. Even Red Label, which is pretty rough! But it’s got a spiciness to it, which, in the right mood, hits the spot. What makes a good blended whisky, in your opinion – and what are some of the technical aspects involved in forging a good blend? As you know, blended whisky is a combination of a grain whisky base and many malt whiskies to give flavour. Not to say that grain whisky doesn’t give flavour. Blenders always say that you need to have at least two grains, and grain whisky usually makes up about 60% of the blend. You’re talking of about between 5 and 50 different component whiskies in total. Some of the traditional blends like Walker or Teacher’s, will use many malt whiskies. More modern ones use fewer whiskies, which doesn’t make for a lesser blend, by any means. Expensive ones will use older components, or they’ll reverse the percentages, so you might have 60% malt and 40% grain. 50-50 is a very good balance. But what you’re looking for is a balance – you don’t want to have too much grainy notes. Young grain whisky can be quite acetone, which is the common descriptor – slightly chemically. That is not a good sign. What you want is well matured whiskies, which you can achieve in 3 or 5 years old. They needn’t be terribly old whiskies. Many blenders will say that if you’re using old or very old malt components, it’s better to put them in a younger – 10 or 15 years old – grain base, to revive them. Say you’re using malt components which are 30-40 years old; if you’re going to put a 40 year-old age statement on your blend, then of course your grain needs to be 40 years old as well. They would say that actually you’re best to use slightly younger grains to revivify and enliven the malt whiskies. But what you’re looking for overall is a pleasant taste, complexity, depth and a smooth texture. Why do you think Blends have such a bad name today among singe malt appreciators, because it wasn’t that long ago when Blends were rather fashionable? Some time ago there really weren’t that many malts to taste. Obviously Glenfiddich started in all in about 1963, and then others slowly followed on into the 80s and so on. Now, there was a change in fashion in the early 80s away from brown spirits generally and Scotch blended whisky in particular, because it was seen as something grandpas would drink. White spirits were coming on – Bacardi white rum and vodka, and wine of course. It was no longer fashionable and, let’s face it, whisky generally is an acquired taste. It’s not like vodka which simply takes on what you put into it, and is relatively tasteless. Whisky was supported by fashion and cache from about the second world war until then. To some extent malt whisky saved the day. Many more malts became available in the late 80s, through into the 90s and up to today. And let’s not forget, only around 10% of the malt whisky made is bottled as single malt: the rest goes into blends. But malts opened up the whole idea of being able to appreciate whisky, and to appreciate the nuances of flavour between one region and another, one distillery and another. That’s been massively exploited, thank goodness, by the brand owners and independent bottlers. Many people who had not previously, or who wouldn’t necessarily, drink blended Scotch whisky love malt whisky, and as a result they rather turn their noses up at good old-fashioned blended Scotch. 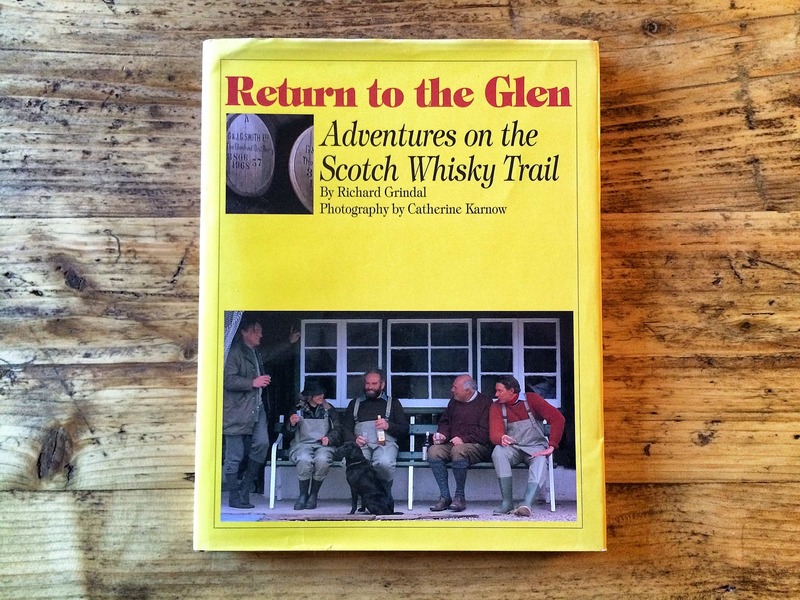 Serious whisky drinkers – and I’d include myself in this! – accommodate the two. They’re different products altogether. It’s the same as non-Scotch whiskies – Bourbon, Japanese, Irish whiskey, and so on – they’re all made to be as the distiller or blender wants them to be. They’re not random. Distillers know very well what they want to make, what flavours they want in individual brands, taking huge care to achieve that. The same is true with blenders. They say distilling is a science, blending is an art. The art and skill of these blenders is incredible. The main job is to achieve consistency of flavour, but on the occasion that they’re allowed to create a new blend they go to huge lengths. It’s by no means a secondary product, it’s just a different product – as is Irish, or bourbon or whatever. I think it’s stupid to look down your nose at blended Scotch. After all, it is the style of Scotch that conquered the world and continues to do so. Happily the sophisticated malt whiskies can follow the vanguard of blended Scotch. You’re working on a book for Famous Grouse. Are you able to talk a little more about that? The title of the book is ‘Famous for a Reason’. It’s a highly illustrated book, but it’s also a substantial history, which tries to put the history of Matthew Gloag & Son, the creators of the Famous Grouse, into a wider context in relation to what was happening at the time. Matthew Gloag & Son was a very small company based in Perth, and it was only after 1970 that the brand was promoted. The story was that the 5th generation of the Gloags, the husband and wife who owned it, died within days of one another in 1970. Death duties were running at a phenomenally high rate. There was no alternative to sell the company and all their assets were in the family firm. It was sold to one of their best customers, that was Highland Distillers (Highland Distilleries as it was then) and they began to promote it vigorously within a couple of years. By the end of the 1970s it was the leading brand in Scotland. It was pretty much unknown prior to that. But nevertheless there’s an awful lot of back-story in the book. The brand was created in 1898, and before that they were both wine and whisky merchants in Perth. One of the things I discovered was that they were making a blend around 1860, which is very early in the history of whisky. It was one of the very few consistent blends. The original brand was mainly sold locally – it was very well regarded blended Scotch whisky, but it was only really after Highland took over with the money and inclination to promote it that it took off. But the success of the Famous Grouse in the 1970s is phenomenal and probably unrepeatable. Just moving onto wider topics. The whisky industry has changed radically since you’ve been writing about it, both for blends and single malts. What excites you about the industry today? What is so encouraging is the worldwide enthusiasm for Scotch whisky, particularly malt whisky. This is reflected not only in the amount of whisky sold each year, but by the numerous whisky festivals, whisky fairs and so on, which are held all over the world. There are over 20 such fairs in Germany alone; the Whisky Live organisation will hold fairs in 22 countries this year. You’re talking about thousands of people over the course of a couple of days, all over the world. It’s hugely gratifying from my point of view to see such enthusiasm – such passion, indeed – for the drink in general. Whisky enthusiasts are frankly much more enthusiastic than beer drinkers or wine drinkers. It is extraordinary. They want to know everything about the subject. It gives such pleasure. I think that’s what’s so rewarding. The appreciation has increased dramatically since I’ve been involved. Conversely, what are some of the things about the industry – with respect to blends, single malts or even single grains – that frustrate you? Some of the things that frustrate me are dealing with people within the industry who don’t understand the culture of whisky. Many whisky companies are multi-nationals, and this is no bad thing. Generally speaking they leave the production people alone, thank goodness. But on the sales and marketing side, they’re forever shuffling the pack and losing people who are knowledgeable and passionate, and who know what they’re talking about. It’s sad that some companies – by no means all – employ people who don’t have a sufficient depth of knowledge. You’d think that this would be important, especially when they are employed as brand ambassadors, and on the management side, one would hope that they might have a better understanding of the passion which drives so many consumers. Too often they don’t. I’m afraid that some of the whiskies now are unconvincing. Thanks to Charles for taking the time out of his busy schedule to talk about blends. You can visit his website, Whiskymax, or buy one of his mighty whisky books online. Image at the top of this post is a still from the Ken Loach film, ‘The Angels’ Share’, produced by Sixteen Films, Why Not Productions and Wild Bunch. Originally sourced here. Copyright Filmcoopi/zvg.